Classic bagel and lox from Rosenberg's in Denver. Time to head West for all the trendiest Jewish food. Colorado is thought to be populated by people who can traverse expert ski terrain with a craft beer in one hand while rolling a joint with the other — not the kind of folks who know their way around a bowl of matzah ball soup or a plate of shakshuka. And while Jews in Colorado pride ourselves on our ability to navigate both the slopes as well as a seder, the fact is that the Jewish food scene has always been small and almost static, catering to a specific (and grateful) community. All of that is changing, at least in Denver where a new Jewish food scene is starting to flourish. The beginning of this new movement dates back to 2014 when Rosenberg’s Bagels opened its first location north of downtown Denver in the Five Points neighborhood. 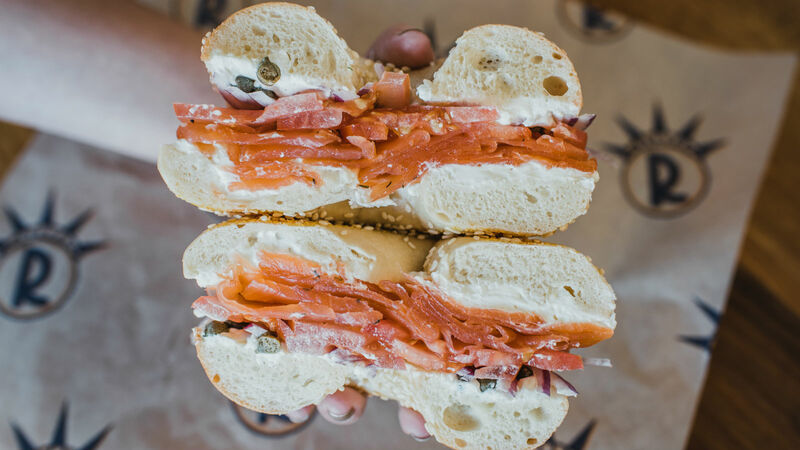 Denver Jews, who mostly live in suburbs south of the city, proved willing to schlep through Denver traffic for a fresh bagel, lox, and schmear. Now, Rosenberg’s has three locations and with two new Jewish restaurants entering the scene — Rye Society and Safta — the floodgates are open to drown this town in hummus and borscht — and Denver Jews aren’t building an ark. Before opening his restaurant, Rosenberg’s owner, Josh Pollack, decided to test the mantra East-Coasters like to repeat between bites of Colorado bagels, “You can’t make a good bagel out of New York, there’s just something in the water.” Pollack took samples of New York City area water to a lab and compared them to samples of Colorado water. It’s hard to admit, but it turns out the cranky East-Coasters were right. The New York water had the same mineral content as Colorado water, just at a lower density. This low mineral density — especially calcium and magnesium — allows, among other things, higher gluten build-up, giving East-Coast bagels their signature chew. So, Pollack did the only logical thing: he spent a small fortune figuring out how to recreate New York water to make bagels in Denver. For the bagels alone, we could tell Rosenberg’s dayenu, but they also cure fish a dozen different ways, including a salmon cured like pastrami (which is every bit as good as it sounds), bake their own pastries, and make a matzah ball soup topped with gribenes that is truly something to write home (to New York) about. A few blocks west of Rosenberg’s is Rye Society, which opened its doors late last month. The restaurant is owned by Jerrod Rosen, an old school Colorado Jew with roots in the state dating back to the early 1900s. 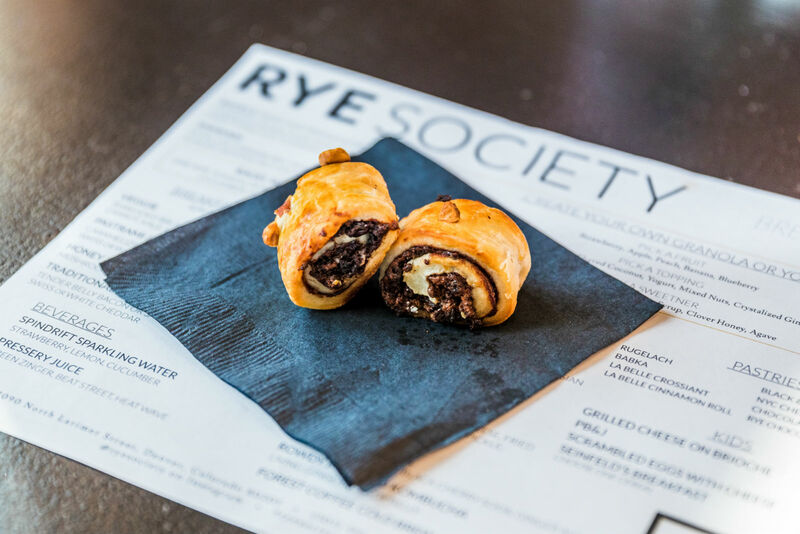 While Rye Society is a small space with a limited kitchen, it offers big authentic flavors, due in no small part to Rosen, whose impressive resume includes the French Culinary Institute as well as Per Se in New York City. 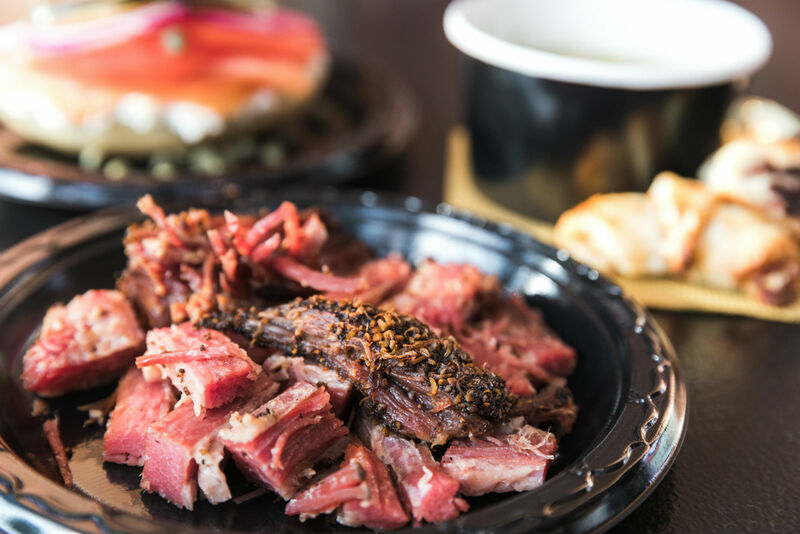 The menu is cultivated carefully — from the pastrami sandwich, chilled borscht, and rugelach made by Rosen’s own Aunt Cindy — and all are perfectly assembled to exceed even the highest of expectations. But it’s not all Ashkenaz-centric. In a few days, James Beard Award-winning chef Alon Shaya is set to open his restaurant Safta in North Denver’s Source Hotel. Safta is a restaurant that combines Israeli food with down-home southern cooking and more than a bit of virtuosity. 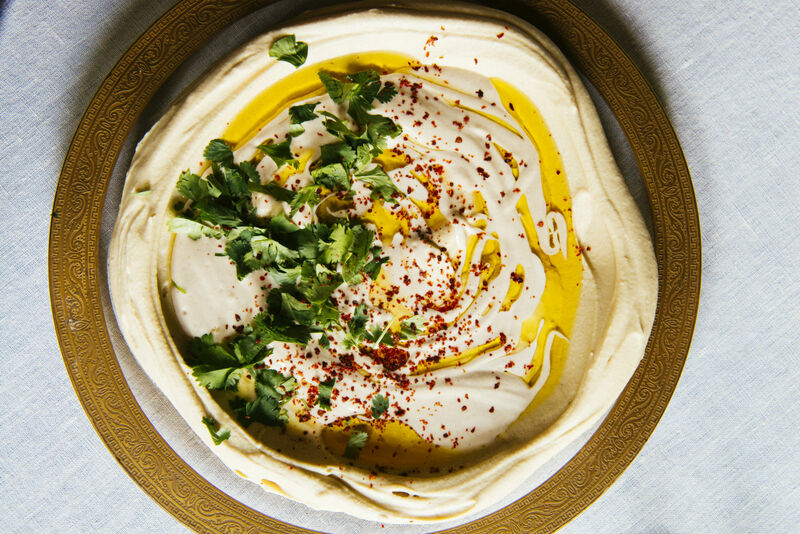 A standard meal at Safta could include hummus, fried chicken with zaatar, Shaya’s lutenitsa (a beloved eggplant and pepper salad recipe from his grandmother), matzah ball soup with duck, and cappuccino with halva syrup to wash it all down. Like the rest of Shaya’s restaurants, the menu will change often, including rotating menus for the holidays. No one can say what the future holds for Jewish cuisine in Denver, but as these restaurants continue to be embraced by the wider food community, we mile-high Jews are excited about what’s on the horizon.